The site of the Palast der Republik in Berlin is a focal point of ideology. Iconic architecture of power on this location has been built, destroyed and rebuilt over time. 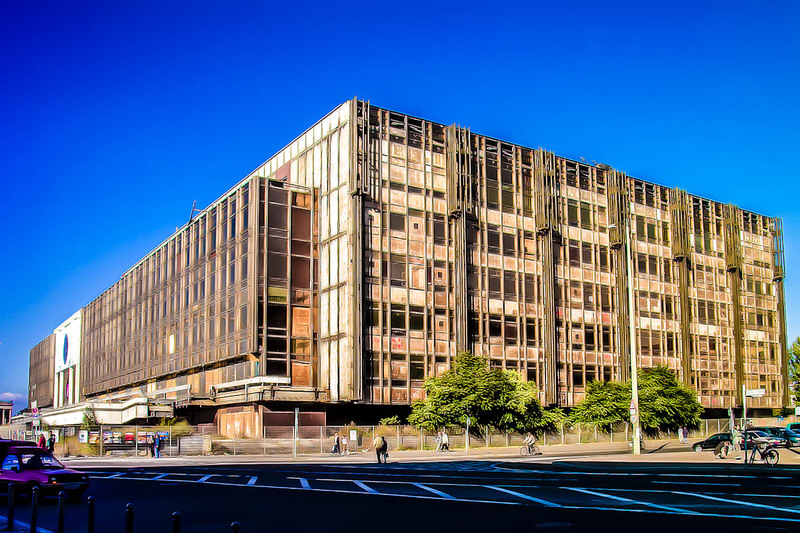 The Palast der Republik (English: Palace of the Republic) was constructed between 1973 and 1976 at the site of the former Hohenzollern palace (Stadtschloß). The Palast der Republik was a cultural building in Berlin (e.g., similar to the Centre Georges Pompidou in Paris), on the bank of the River Spree next to Museumsinsel. The building’s architectural plans were provided by Heinz Graffunder and Karl-Ernst Swora. The architects conceived of their building as a Volkshaus (house of the people) in the tradition of the German labour movement. It housed two large auditoria, art galleries, a theatre, restaurants, a bowling alley and a discothèque. The new Palace soon became very popular. More than 90 percent of the events held in the Palace were concerts, shows and cultural programmes. The Palace was indeed oriented towards the people, but it was by no means free of ideology. It hosted the Socialist Unity Party Congresses in its Grand Hall and generally performed a representative function for the GDR. In September 1990, after the the fall of the Berlin Wall in the year before, the Volkskammer (people’s assembly) approved the immediate closure of the Palace. It based its decision on an asbestos level report that had been commissioned by the GDR government in the summer of that year. Two distinct public opinions emerged already in this early phase: one group was in favour of rebuilding the Prussian Palace while the other wanted to preserve the Palace of the Republic. In 2003 a large majority of the German Bundestag transcending party lines confirmed its approval on the recommendations of an International Expert Commission, to demolish the Palast der Republik and reconstruct the Berlin Royal Palace and build the Humboldt-Forum. The shell of the building was opened for visitors in mid-2003, and a pressure group campaigned for temporary use of the building for cultural events until its eventual demolition. 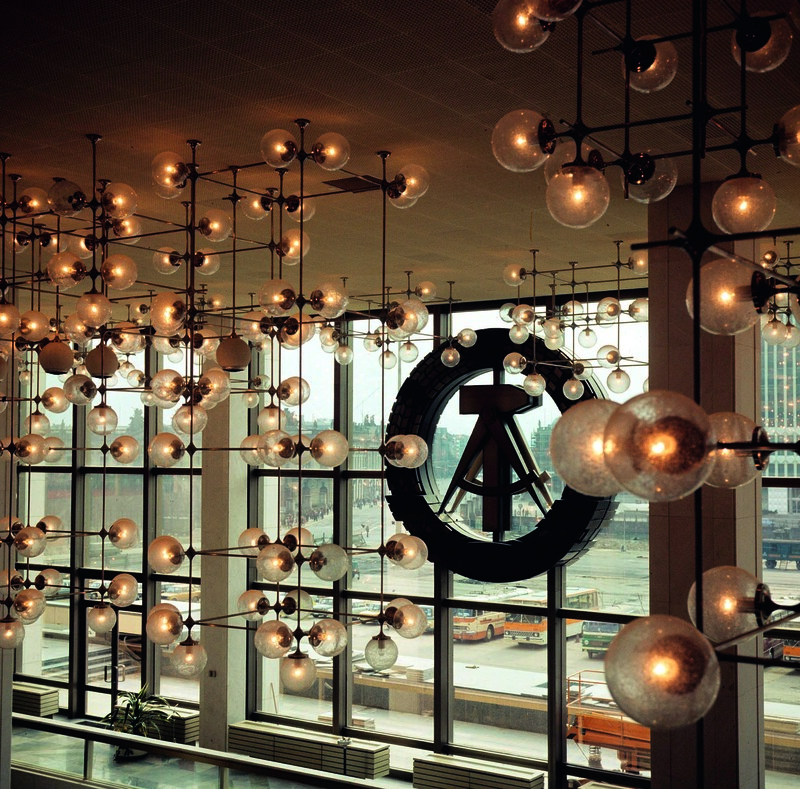 Beginning in early 2004, the building was used for events such as housing an exhibition of the Terracotta Army and a special concert by the famous Berlin-based band Einstürzende Neubauten. Update September 2013: The image above shows a stripped Palast. 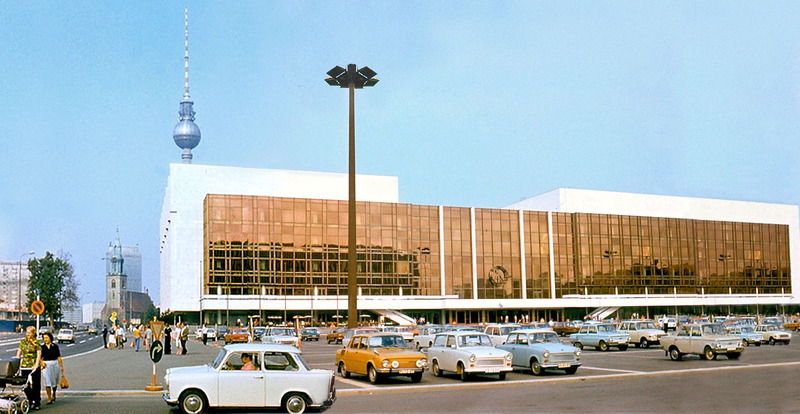 Our friends at Uncube traced the ‘scrap’ of the Palast der Republik, which ended up in art works, Volkswagen cars, interiors and new buildings, including the Burj Khalifa.